I love capturing fleeting moments that go unnoticed; the magic between two people that create honest, authentic and candid photographs. Give me you, give me your love, give me laughter, give me tears. I will capture you as you are. There is something truly amazing about the mountains and landscapes in which we live. My passion for capturing your special moments drives me to incorporate you, your friends and family, and these landscapes into photos that will bring you back to that day each time you look at them. Hi, I’m Jeff with Couloir Creative Photography. I photograph weddings in amazing locations across Colorado and stunning destinations throughout the world. I love helping couples feel comfortable in front of my lens. Making a connection with you via an engagement session or grabbing coffee (or a beer!) is important to me. This connection allows you and your fiance to open up and show the love you have for each other, and in turn allows for the real, authentic to come through in my photographs. Having been married and feeling the pressure and awkwardness without much guidance to look my best in photographs, I absolutely love helping couples with poses. Everyone wants authentic and candid shots, but oftentimes couples need some to a lot of help. I give direction for posing and where to go during bride and groom portraits. Though I do direct during portraits, my intentions are to capture the in-between, candid moments to give you honest photos that capture your relationship and love. You’ll be surprised how you start to break out of the poses in fun ways and those candid moments become magic. We all want an amazing weather and stunning spots to shoot on your big day, but sometimes that just doesn’t work out to perfection. Tough moments breed creativity though, and I enjoy making even a random corner, dim lighting, mirror, or puddle a moment to create a photograph you’d be happy to hang on your wall. Thanks for reading a bit about me and my work – hope to talk to you about your wedding sometime soon! I strive for 100% satisfied customers and maintain 5 out of 5 star reviews on Google, Thumbtack, Facebook, and The Knot. Below are a few of my favorite recent reviews, but feel free to peruse any review site for others. I loved every moment of working with Jeff leading up to and during our wedding. His eye for getting the shot, friendly and comfortable personality, and attention to detail made him a perfect fit for our wedding photographer. What I appreciated the most about Jeff was how comfortable he made me and my husband feel while he was photographing us. It was not easy for me to have that much attention and focus as a bride and Jeff put me right at ease in a way that felt very safe and personal. His editing and touching up of the photographs after the wedding was beautifully done and I would recommend him to any of my family or friends. Thank you for being a part of such and important day in our lives Jeff! We absolutely loved working with Jeff! We couldn't be happier with how our pictures turned out, so much better than we could have ever imagined. So many people have told us we need to submit them to a wedding magazine. Jeff has such an ease about him and has a way ofcatching the candid and sweet moments. We also appreciated how well he captured both people and landscapes. We had our wedding outside in Rocky Mountain National Park in the middle of March and he was totally on board for any weather or conditions--we needed someone who was along for the adventure. We are so grateful for the memories he captured. Amazing photographer. 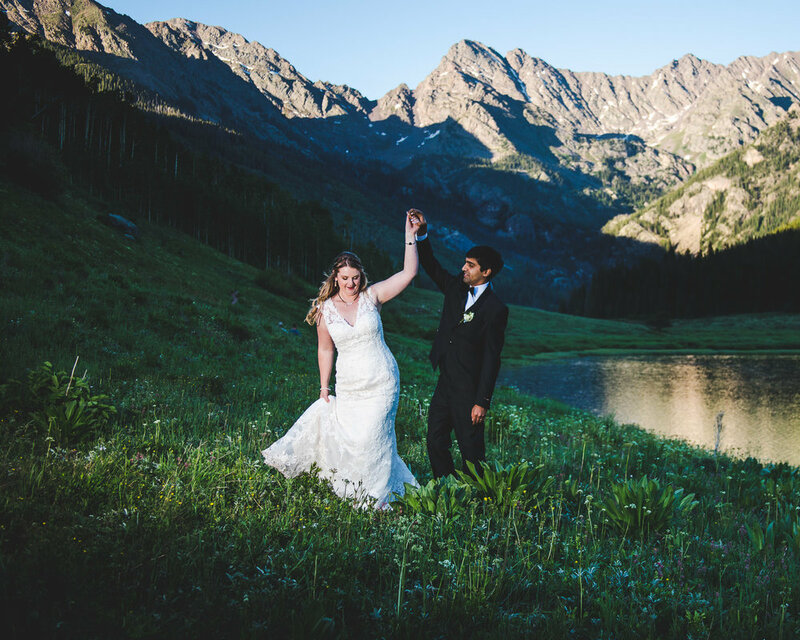 Jeff shot our wedding in Crested Butte, Colorado this summer. The pics he took were absolutely stunning. Jeff was easy to work with and would always respond super fast to text or calls or emails. Would recommend him to any of my friends or family!